This week, arguably, marks the birth of the modern Earth Observation (EO). On the 23rd July 1972, the first Landsat satellite was launched – although at the time it was called Earth Resources Technology Satellite 1 (ERTS-1) and was not named Landsat-1 until 1975. 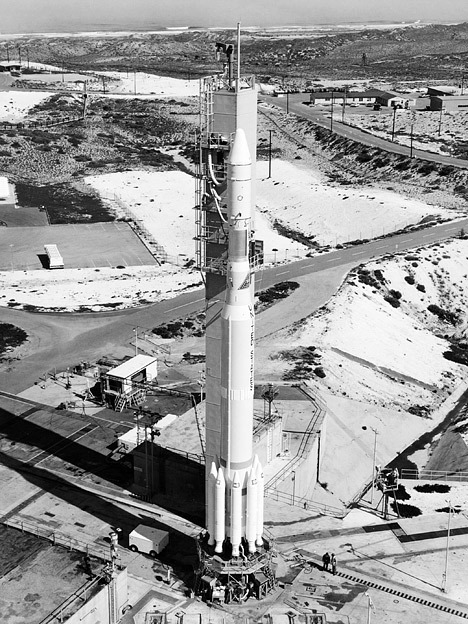 In addition, the first satellite image was received from ERTS-1 on the 26th July 1972. Before anyone starts emailing and tweeting, I know I’ve previously written that the industry itself began in 1978 when Landsat-1 was deactivated and Landsat-2 took over introducing the concept of data continuity. Well, I did say ‘arguably’ in the opening sentence. A compound annual growth rate of 5.59% for global remote sensing market during 2017 -2021 as per 360 Market Updates. Global satellite-based earth observation market to have a compound annual growth rate of 13.69% during the period 2018-2022 as per Absolute Reports. Small Satellites Market is Forecasted to Grow at a compound annual growth rate of 19.54% During 2018-2021 as per Industry Data Analytics. I am sure they can’t all be correct, but it does at least suggest the industry is growing! Pakistan Remote Sensing Satellite (PRSS-1): a high resolution optical satellite with two multispectral cameras, with suggested spatial resolutions of 4 m in multispectral mode, 1 m in panchromatic mode, operating on a 60 km swath. In the UK, the government announced support for vertical and horizontal launch spaceports in Scotland and Cornwall, respectively. This aims to make access to space cheaper, including the launching of satellites. We’re going a take a closer look at this next week. The Geospace dataset, collated by PSMA Australia Limited, is close to having a map of the trees and buildings across Australia. It has combined satellite data, crowdsourcing and machine learning to do this. Working with high-resolution imagery from DigitalGlobe, the 7.6 million square kilometres of the country have been mapped at a 30 m surface resolution with locations captured for all the trees and over ninety-percent of buildings, with the rest expected to be completed by the end of the year. Also, they used a crowdsourcing campaign to identify solar panels and swimming pools in satellite imagery, and then used this data as the basis for machine learning algorithms to do this automatically. The first air pollution maps from the Copernicus Sentinel-5P satellite were released two weeks ago that showed the movement and intensity of trace gases such as carbon monoxide, nitrogen dioxide and ozone in the atmosphere. All of which are critical to improving our understanding of air quality, which impacts the lives of millions of people every year. With a relatively high spatial resolution of 7 x 3.5 km, it is able to monitor individual cities. It has also shown that the hole in the ozone layer has closed and was able to identify shipping lanes by measuring nitrogen dioxide. NASA have released an online Remote Sensing Toolkit, as part of their Technology Transfer program, to help users more easily find, analyse and visualise their huge archive of satellite data. While this archive has been free to access for many years, few people outside the industry were aware of this fact, and even fewer would know where to find the data and an even tinier fraction would know how to analyse that data! NASA hope that this new online tool will widen the use of EO data generally and will enable smaller businesses to exploit the commercial opportunities it offers. Also, in terms of programming languages, Python has become not only a popular language amongst professional developers with nearly 40% using it, including wide-spread usage within the EO community as well as those working in data science, it is also a language for those learning and undertaking coding as a hobby. Coding is a critical skill for anyone who wants to get involved in remote sensing, and currently Python is the choice. These snapshots highlight the new, and exciting, possibilities offered by the EO industry! We’re certainly looking forward to the coming year! This entry was posted in Business Innovation, Copernicus, Data, Earth Observation, Education, ESA, Landsat, NASA, Remote Sensing, Research, Satellite, Sentinel, Space Can Help, Space Industry, UK Space Industry and tagged air pollution, air quality, Australia, china, coding, Copernicus, Cornwall, crowdsourcing, data, dataset, Earth Observation, Earth Resources Technology Satellite 1, EO, EO Market Analysis, ERTS-1, ESA, Geospace, Landsat, NASA, online, Pakistan, Pakistan Remote Sensing Satellite, Pakistan Technology Evaluation Satellite-1A, PakTES 1A, PRSS-1, PSMA Australia Limited, Python, Remote Sensing Toolkit, satellite, Satellite data, Scotland, Sentinel-5P, spaceport by Andy. Bookmark the permalink.